McKesson Cypress General-Purpose Vinyl Gloves are unlike Medical Grade gloves, such as Nitrile Gloves, and are designed for non-medical use. They are ideal for a variety of applications, such as general cleaning, manufacturing, food industry, engineering, and janitorial use. These synthetic vinyl gloves provide lasting durability and are designed with a smooth finish for maximum tactile sensitivity. 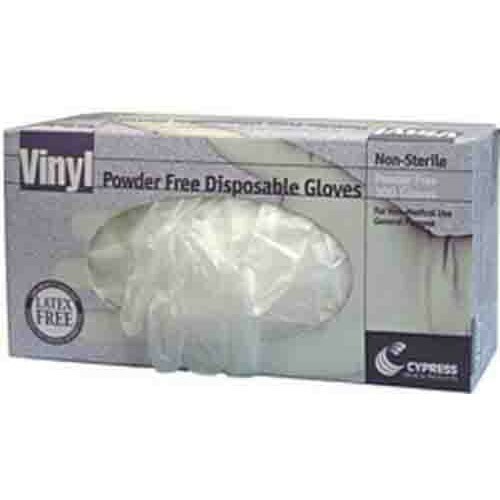 McKesson Cypress Translucent Non-Sterile All-Purpose Gloves are non-sterile, latex free, powder free, have beaded cuffs, and are designed for single use. 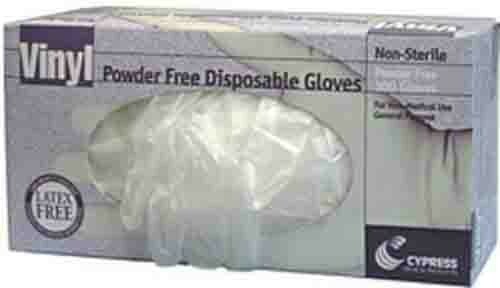 McKesson Cypress Tranlucent Non-Sterile All-Purpose Gloves are non-sterile, latex free, powder free, have a beaded cuff, and are designed for single use.